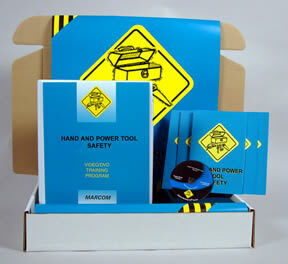 Description: MARCOM's "Hand and Power Tool Safety" Safety Meeting Kit™ shows how accidents can be significantly reduced by applying good general safety rules, and reviews what hazards are associated with the specific types of tools employees use. 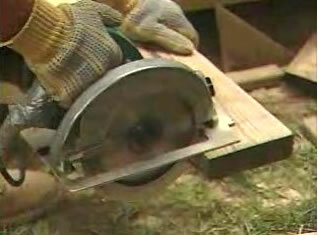 Hand and power tools are used every day in many types of business. They make our work easier and allow us to be more efficient. However, we often fail to see the hazards these tools present. Materials in the Kit include a Videotape Program, five motivational Posters, and 30 Employee Booklets. The Posters in the Kit emphasize the importance of handling tools properly. The Videotape and Employee Booklets include information on matching the tool to the job, the importance of "state of mind", personal protective equipment, good safety practices, tool care and maintenance, and more. The Videotape Program in the Kit comes with a comprehensive Leader's Guide, reproducible Scheduling & Attendance Form, Employee Quiz, Training Certificate and Training Log.